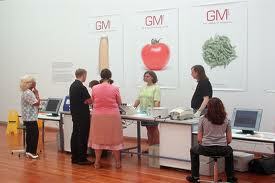 Critical Art Ensemble (Steve Kurtz, Steve Barnes, Dorian Burr, Beverly Schlee, and Hope Kurtz), Beatriz da Costa and Shyh-shiun Shyu, general European public who wanted to test their foods for markers indicating that they are genetically modified. The Critical Art Ensemble (CAE) is an internationally-recognized group of five artists and intellectuals whose work examines and critiques biotechnology, information technology and media studies. 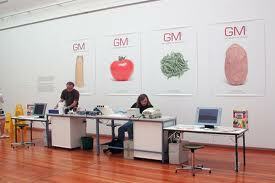 In their 2004-5 project Free Range Grain, they examine whether unlabeled GM foods from the US are circumventing the EUâ€™s strict policies on importing of GM foods, under pressure for increased free trade. To contribute to an idea of public science by focusing on issues such as food production that are of direct interest to people, and to make scientific initiatives more immediate and concrete. To popularize scientific techniques the general public can use to test foods themselves, instead of relying on the potentially dubious labeling and testing provided by their governments and corporations.